The snowpack is unstable due to the recent storm which deposited over 30" of new & wet snow. The retreat of an Atmospheric River event is underway, leaving us with an upside-down snowpack from a heavy period of rains to almost 9000' in elevation. Leavitt Snotel is reporting around 7" of Snow-Water-Equivalent, think of that as water weight pulling down on the snowpack in some areas. The new Storm & Wind Slabs are dicey, with an ability to break-up easily when disturbed. If avalanches occur today they could have the ability to entrain enough snow to bury a human & destroy a home. Time to find a meadow with low consequences..
Use caution on aspects NW-N-E-SE especially near & above treeline as wind loading has deposited dangerous amounts of new snow, & will continue to do so. Wind features are sharp, ominus, & scuplted by rain. 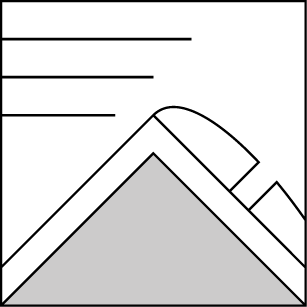 Include Cornices in this wind slab problem as their failure could cause a step-down avalanche which includes lower layers of the snowpack. Look to the trees & see evidence of Gale winds collecting snow in the windward sides of trunks. The amount of storm snow (+30"), coupled with the effects of rain & wind has us with dynamic surface snow conditions. The storm slab is variable in thickness & density & is acting as a cohesive layer. It is easy to propagate a fracture through this layer when initiated. An upside-down effect has happened to the new snow with an intense duration of mid-storm rains up to almost 9000'. Unsupportable rain crusts also exist below 9K. If a deep slab avalanche were to occur the survival of a human victim would be very low. The deeply buried Persistent avalanche problem has morphed into a darker issue as it gains depth within the pack. Very hard to predict, this hazardous scenario can be remotely triggered & done so at slope angles shallower that 30 degrees. Dig a test pit & look for "sugary" facets below a firm layer that can loosly fall from the pit wall. A complex & relatively uncertain snowpack is on the mountains today. Over 30" of new snow coupled with rain has created a dramatically snowy & sculpted mountainscape. The force in which the new snow was blown around was of Gale strength, & a spackling can be seen on the trunks of tall trees. Rain was visible in the upper layer of the pack to nearly 9000' elevation. The appearance of very large Deep Slab avalanches should be concerning, as the Persistent issue has been buried by a few feet. The upside-down snowpack at lower elevations is tough for traveling, & the crust around 8000' is not supportable. 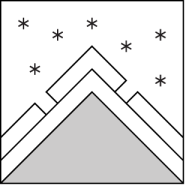 A contrived cornice test showed that the new snow has not bonded well to the old snow & avalanches are likely to occur with the entire new load of snow. Storm & wind slabs are still growing as transport of snow is readily available. 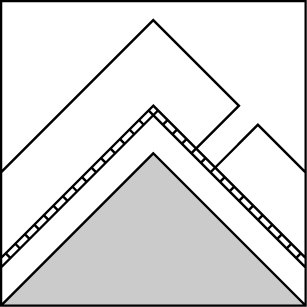 Propagations of cracks horizontally through dense snow slabs can cause avalanches that entrain huge amounts of snow & mass, D3- D4. Rain wieght will also casue stress on the pack, & at Leavitt Snotel we have seen around 7" of SWE! Snowmobiling in yesterday's Snow-Globe conditions was tiring & exciting. Winds were irratic & gusting at gale force with +30" of airborne snowflakes. The now deeply buried Persistent layer is still easy to find & in some areas is the base of the snowpack to the ground. A controlled Cornice avalanche was triggered by a duo of snow-rangers who found it takes very little force to cause collapse & propagate a fracture. The storm & wind slab avalanche problems have created soft surface slabs which have a high propensity to cracking. Rain found its way up to almost 9000' as the Atmospheric River produced a typical "goooey" centered storm. The upside-down snowpack turns into a breakable crust as you gain elevation, then above 9K it's soft. Snow tapers off today as warmer air moves into our mountains. Winds will be Light from the West, with some moderate ridgetop gusts. The mostly cloudy skies will dissipate tomorrow & we will have sun. Sunday ushers in a another storm with high mountain snow & rain possibly up to 8000'. Temperatures: 30 to 40 deg. F. 24 to 29 deg. F. 35 to 45 deg. F.
Temperatures: 30 to 35 deg. F. 19 to 24 deg. F. 31 to 39 deg. F.